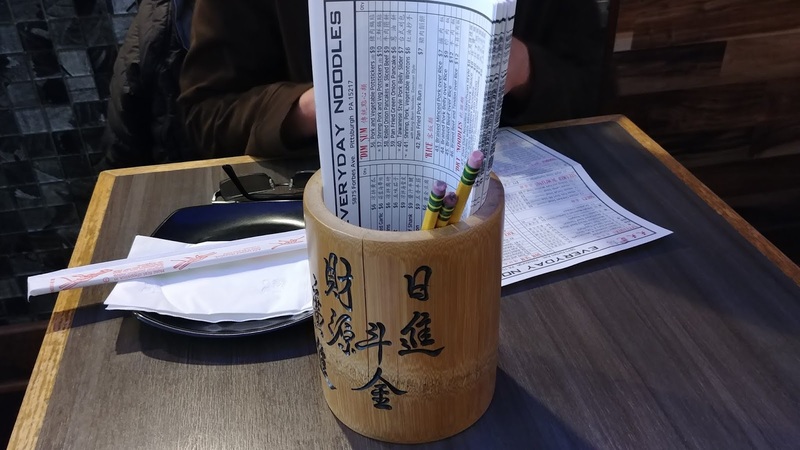 We really like Everyday Noodles in Squirrel Hill but since we do not live in the area, we only make it there about once/year, usually in the winter. This past Monday I had a doctor appointment in Oakland. Since we were done around 12:15 pm, lunch time, we decided to head over to Squirrel Hill for some noodles. The people there are always so nice & welcoming. We were seated right away. While SP used the restroom, I marked our sheet with the dishes we wanted. We always get the same things! A noodle soup. I always let SP pick the soup flavor. 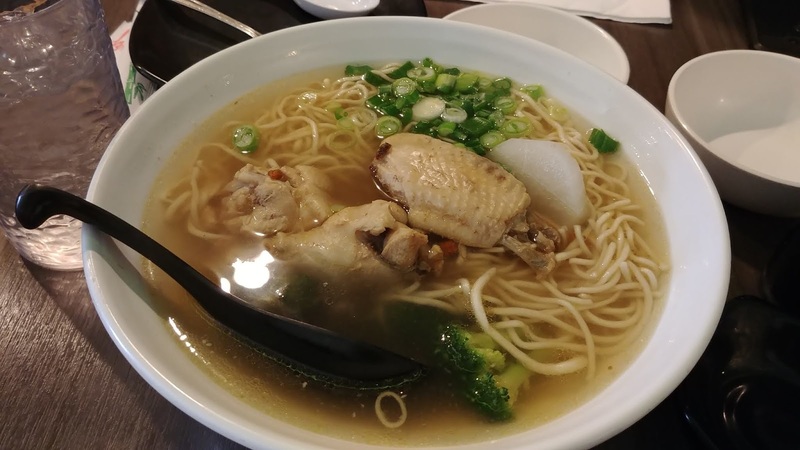 He chose Chicken Noodle Soup Consomme with thin noodles. I love the freshly made noodles. I always hold my little bowl up to my face and slurp away, remembering all the times in Japan when I slurped steaming bowls of soba/udon. I still spew bits of broth onto my shirt and the table as the noodles get slurped into my mouth. 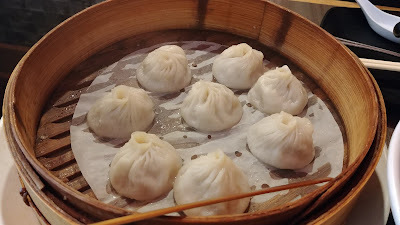 We love the Pork Soup Dumplings. Sure, I always burn my mouth and dribble some soup onto my shirt, but they're so darn tasty & warming & comforting. I don't even need the ginger, soy, or chili oil. 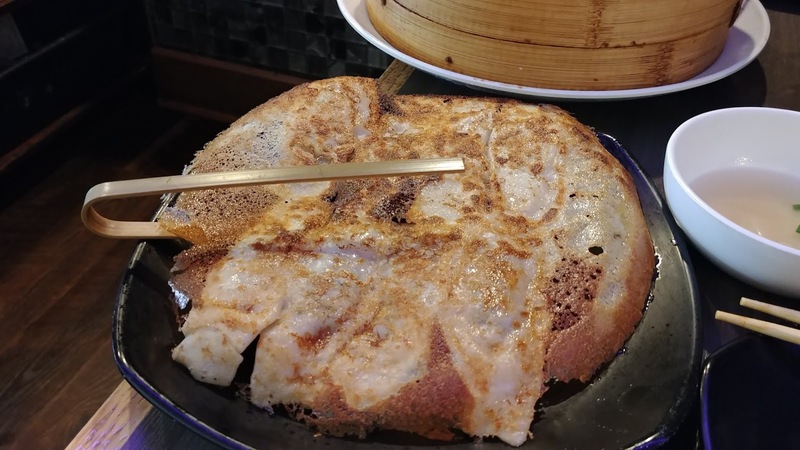 Just give me the steaming soup dumpling. Pork & Vegetable Potstickers. I love these. 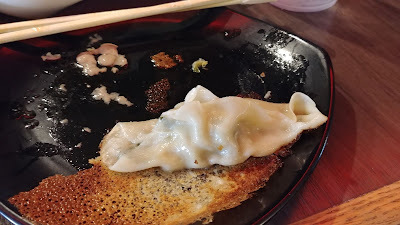 They remind me of the potstickers (gyoza) I ate in Japan. A lovely, thin dough surrounding the pork filling. Yum. So good on a cold day. Filled my belly and warmed my body. It's a quick meal. And a tasty one. I guess we'll be back in about a year? !